A good property management software program can be a lifesaver if you’re a landlord. If so, it may be time to find the right property management software program. 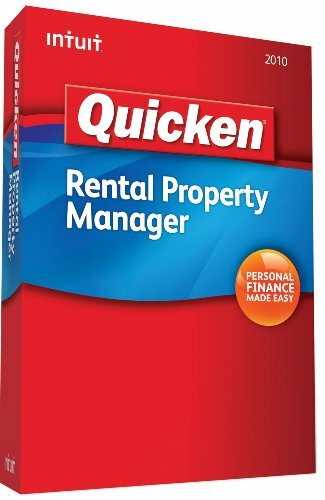 Not sure if Quicken Rental Property Manager 2010 is it… so check out my review below and see for yourself. Also, I’ll be reviewing other property management software programs in the future. So, be on the lookout for more. Since this property management software program allows you to manage personal, business, and rental properties… you could look at this as a pro or a con because it adds to the functionality (aka complexity) but also provides an all-in-one solution for managing your entire financial picture. Quicken Rental Property Manager 2010 does not allow you to collect rent online (like say PropertyBoss). But tracks income and expenses by property, identifies tax deductible rental expenses for you, has a complete profit and loss function for rental properties, and tracks paid and owed rentals for easy collections. … sounds nice, doesn’t it? Quicken Rental Property 2010 monitors each property’s tax status throughout the year helping you to minimize taxes and maximize deductions. And also has a tax reporting feature for your accountant. All data can be exported to TurboTax and even prepares your Schedule E IRS tax forms. And it costs $149.99 (no monthly fees… yeah!) and comes with a 100% satisfaction guarantee (which some programs do not have). Quicken Property Management Software – Who is it right for? This program is most applicable for someone doing cost accounting for less than 100 units. It allows for quick and easy data entry. If you are familiar with Quicken software, the learning curve is minimal. Neither the cheapest product on the market, nor the most expensive, Quicken Rental Property Manager 2010 is probably the most universally used product in the marketplace today. If you have any questions or suggestions for other property management software programs, toss ’em in the comment area. Real Estate Investing : IRON FIST Property Management! Thanks Pat. Its all about efficiency and organization and it sounds like this property management software gets the job done. Yep, it’s a pretty good one. And there are definitely some other good ones too that I’ll be reviewing soon.